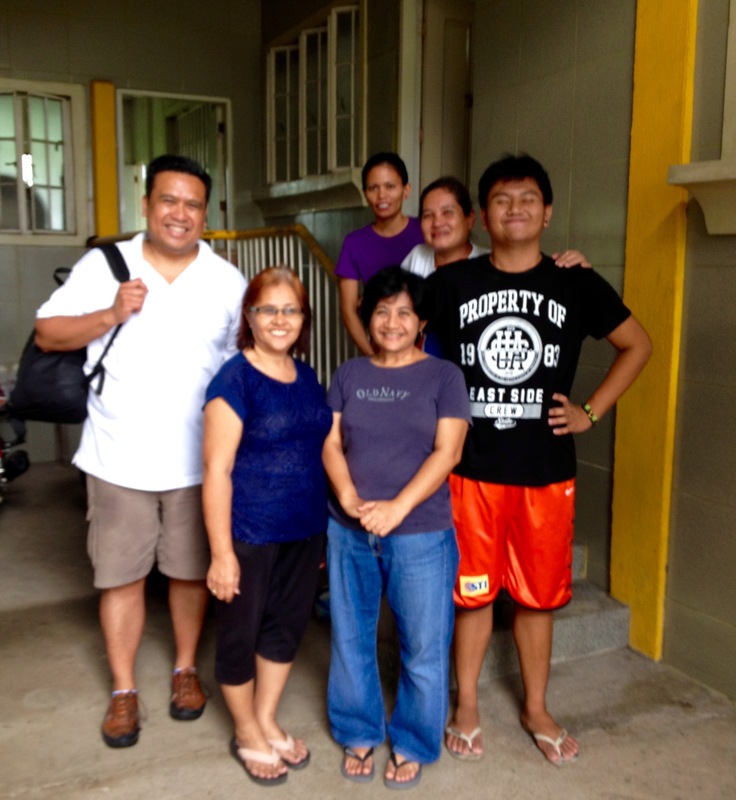 In July 2015, the Bayanihan Foundation supported travel to the Philippines with the NEXTGEN Fellows and the Kaluluwa Kolectivo. The following blog post reflect insights and experiences of that trip. Last July 2015, I traveled with the participants of the Kaluluwa Kolectivo and NEXTGEN Fellows to the Philippines. Besides philanthropic giving, I experienced with them the abundance of spirituality and the natural beauty of the Philippine islands. We enjoyed the delicious native foods and the wonderful hospitality of our hosts. But most of all, I vividly remember the joys we shared with family and children. 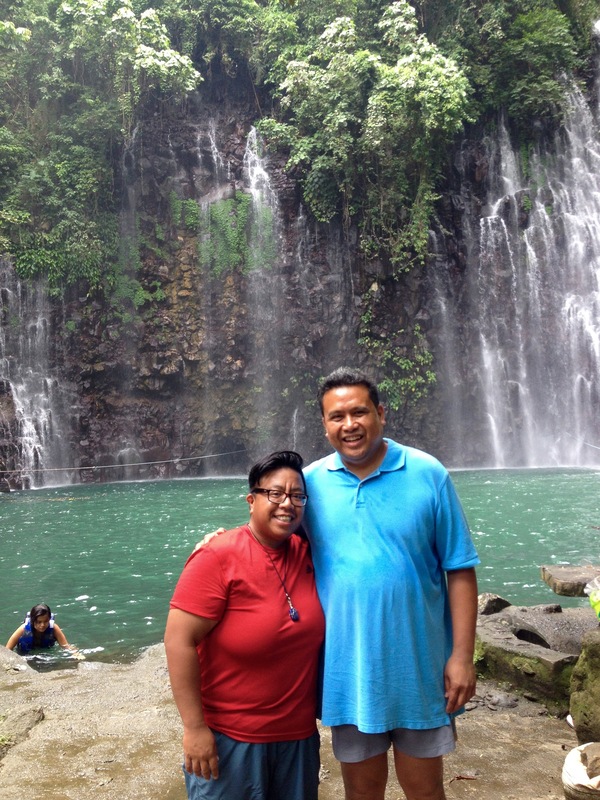 The mind, body and spirit are fed and nourished in the Philippines. 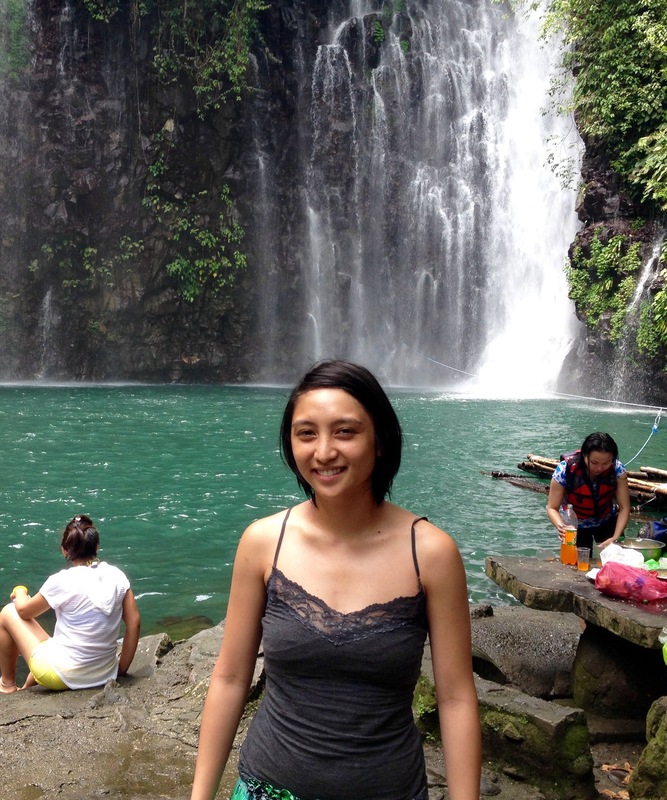 In Iligan City, I took the participants of the Kaluluwa Kolectivo and the NEXTGEN Fellows to swim in Tinago (hidden) Falls. We hiked down over 400 steps through a deep ravine of lush jungle, tropical vines and mahogany trees. As I descended through this deep ravine, I felt again the indigenous spirituality that surrounds the islands. I cannot help but ponder on the Kaluluwa Kolectivo’s question: “How do pre-colonial indigenous spiritual practices continue to run in everyday life to build thriving communities?” I felt fortunate that I was able to share these beautiful experiences with the Kaluluwa Kolectivo and the NEXTGEN Fellows and that our minds and souls were fulfilled and nourished with questions and deep thoughts. 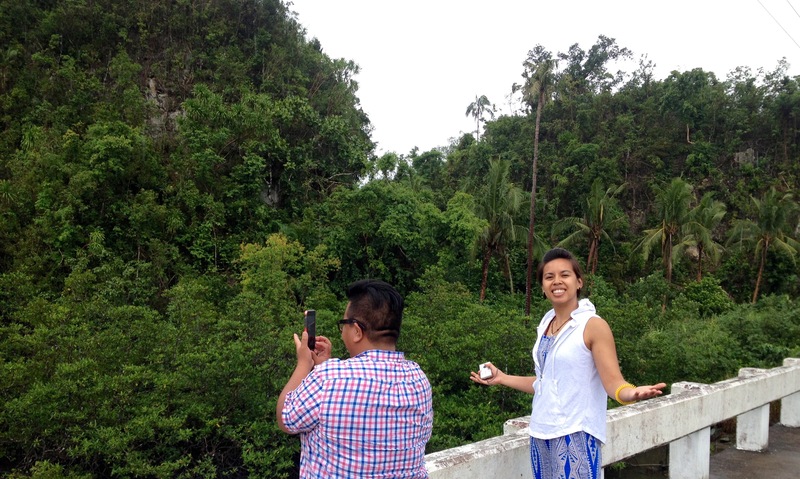 At the same time, it was easy to be awe-struck by the natural beauty of its 7,000 islands. I don’t have to search too far to be nourished by the many undiscovered gems of natural beauty and spirituality. Any trip to the Philippines is not complete without enjoying the native foods and delicacies of the islands. 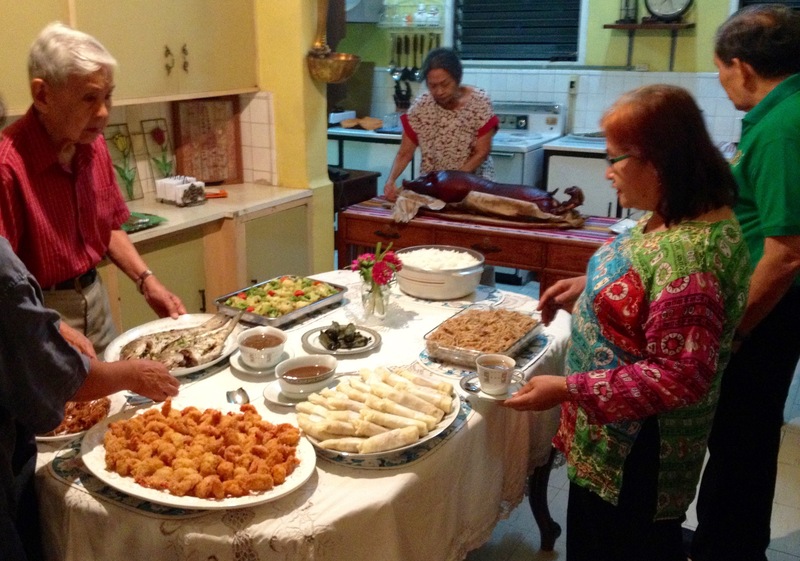 “Kain na tayo!” (let’s eat) is the Filipino invitation to eat that we heard over and over and over. Getting fed and nourished in these islands is easy. 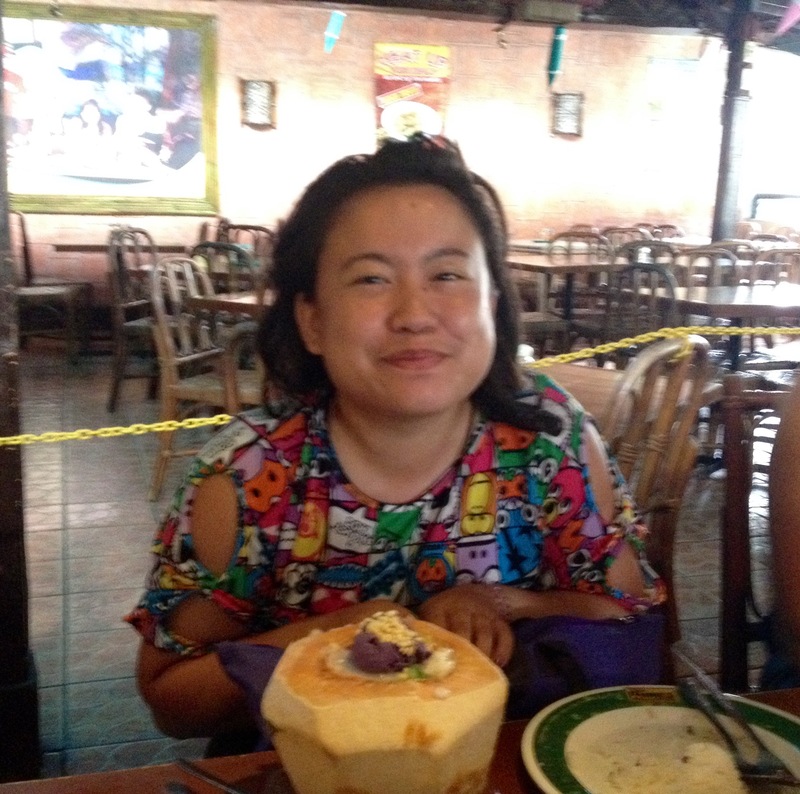 I knew NEXTGEN Fellow Jeselle Santiago felt a taste of heaven as she flashed that big grin when she was served her first halo-halo dessert (ice cream with tropical fruits) served in a fresh coconut. 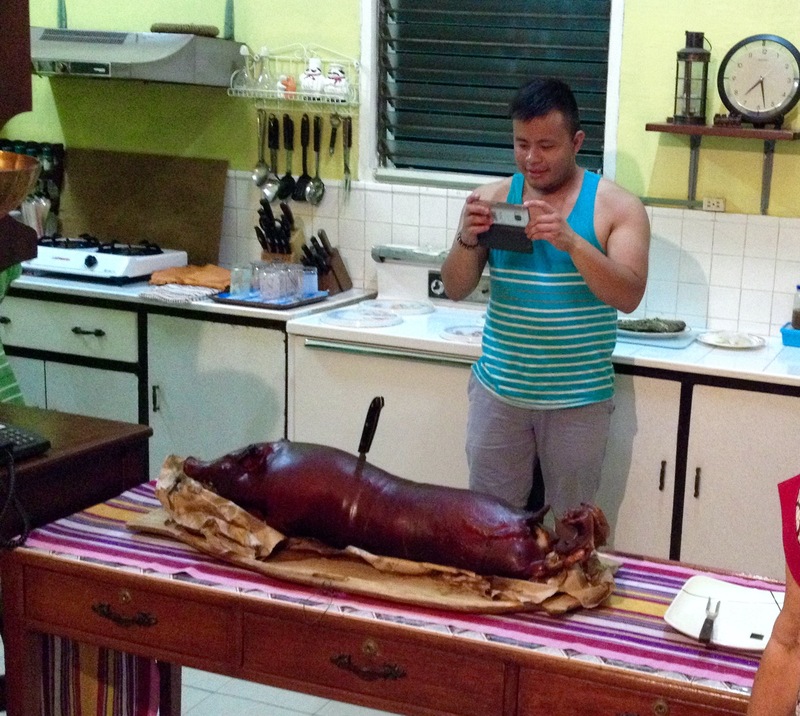 How about when NEXTGEN Fellow Marc Butiong was taking pictures of the lechon for our welcome celebration in Iligan City? 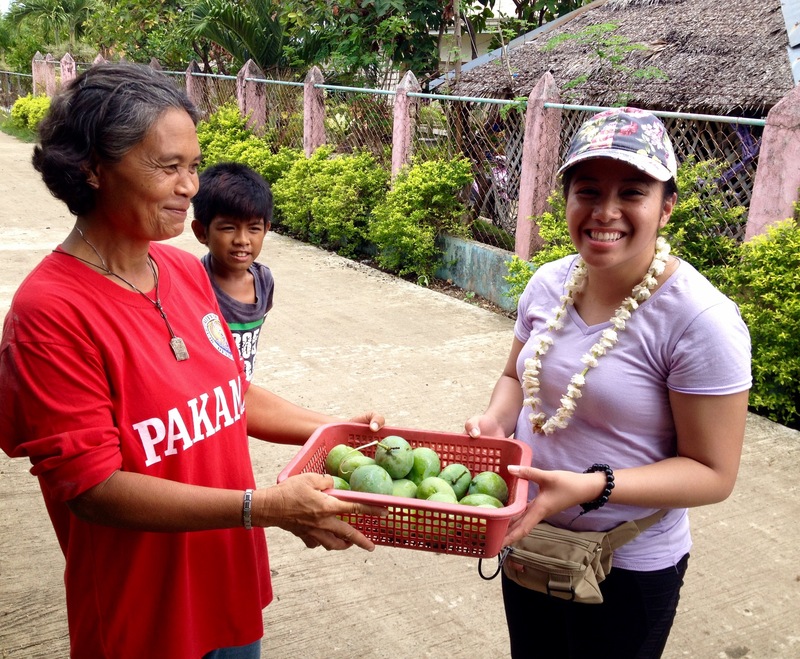 Or the big smile that Jane Baron gave after receiving a basket full of green mangoes in Liloan, Cebu? The hosts in all the four islands we visited prepared a fiesta to welcome us. I enjoyed the fresh grilled fish in Samar; the fried kamote (sweet potatoes) on a stick in Iligan; and sizzling sisig (sizzling grilled bits of pork or fish) in Cebu. I don’t think anyone in our group ventured to try balut (fertilized duck eggs with legs), as it’s also known. But what’s really memorable is the warm hospitality of all our hosts and partners in all the places we visited. They did not only fed our bellies but filled our hearts with welcome and contentment. I was blown away the natural beauty of the Philippines. I was enthralled by the enduring spirituality all around us. I gained weight eating all the delicious food and enjoyed the wonderful hospitality of our hosts. But what’s the most enduring of the entire trip was the warmth and joy I shared with the families and children in the Philippines. They fed our mind, body and soul. Our planned trip to the Cordilleras, northern Philippine highlands was cancelled due to two incoming typhoons that closed all the main roads. Evelyn Castillo, the Foundation’s Liaison suggested that we travel to Balayan, Batangas instead and visit Irene Juaniza’s relatives. I was amazed by the wonderful rolling hills and the majestic Taal Volcano on the way to Balayan. As soon as we arrived, Geraldine Baral and her family welcomed us warmly and literally rolled up the red carpet. She cooked the best fried eggplant I have ever tasted! Geraldine, Eric and Irene’s entire family welcomed all of us with open arms and they made our trip to Balayan worthwhile. The warmth of Geraldine and her family was repeated countless times over and over as we visited the country. This is the real gift of visiting the Philippines. The islands and its people will feed your mind, body and soul and they will you make you come back again and again and again. This entry was posted in Philippine travel, Philippines, Spirituality and tagged Philippines, spirituality, travel. Bookmark the permalink. Inspiring, hope you’ll get your chance to visit the Cordilleras next time! Yes, I’m looking forward to visit the Cordilleras next time. Maraming salamat! Thank you for reading my blog entry.